Optional! With the embroidery unit you will experience a new dimension of possibility. Extra-large embroidery designs, in many colors and impressive beauty, enrich your creations and make them truly special. ...you see a sewing machine with a unique, unmistakable design, with all the features needed to make sewing a very special experience. You will discover a new freedom when sewing, a stitch repertoire that leaves no wish unfullfilled, precision that will astonish and space that inspires ideas you never even knew you had! Add on the optional embroidery unit and turn your sewing machine into an embroidery machine in no time at all. It will take you to an entirely new world – a world full of color and design, full of imagination and creativity. It's all possible. Sooner or later. Whenever you want. For many years PFAFF® has continued to perfect the high quality 9 mm stitches of your dreams. A fascinating selection is just waiting to be discovered. Combine different stitches and sew in one-step repeatedly. Combine 9 mm stitches with beautiful Maxi Stitches up to 48 mm wide and turn your project into something unique. The repertoire includes stitches reminiscent of vintage hand work! Create your own entirely new stitches or edit any of the built-in 9 mm stitches with the Stitch Creator™ feature. Watch every step on the large PFAFF® creative™ Color Touch Screen. Vary the look for unlimited possibilities. The time-tested PFAFF® IDT™ System and a highly developed sensor technology guarantee the optimal feed you expect of all kinds of fabrics. Everything stays in place. Lightweight and silky fabrics don't pucker; stripes and plaids match perfectly; curved seams are easy, with very little pinning required. The IDT™ System is exceptional at grabbing and feeding quite small fabric pieces for maximum precision and professional results. Your PFAFF® creative performance™ sewing and embroidery machine moves from a single layer to multiple layers effortlessly and even sews over bulky seams with no hesitation. Enhanced to provide more control when sewing through thick layers or seaming small pieces. Everything stays in place. Lightweight and silky fabrics don't pucker; stripes and plaids match perfectly; curved seams are easy, with very little pinning required. The PFAFF® creative performance™ sewing and embroidery machine is the perfect choice for quilters, home dec sewers, fashion enthusiasts – anyone who creates. The sewing area to the right of the needle is supersized for sewing large amounts of fabric or batting. Impressive – a huge selection of more than 450 utility and decorative stitches. Including a wide variety of 9 mm decorative stitches, Stacking Stitches and Maxi Stitches up to 48 mm wide – for perfect results and enchanting embellishments. Choose one of the 4 built-in sewing fonts to personalize your project. Achieve professional results with a selection of fully automatic buttonholes. Tapering on all 9mm decorative stitches – Taper at the beginning and/or at the end of any stitch. Change the angle of taper for unlimited opportunities. You can even embroider wonderful tapers in the hoop. Patchwork program – Sew your seam and the PFAFF® creative performance™ sewing and embroidery machine will remember the seam length to repeat over and over. Use with utility or decorative stitches for special effects. 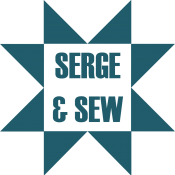 Single stitch program – Set exact number of stitches or sequence repeats you wish to sew. Mirror image of stitches – Flip the stitch side to side and/or end to end for even more possibilities. Choose between two different embroidery units for your PFAFF® creative performance™ sewing and embroidery machine. The larger unit features an embroidery area up to 360 x 350mm so you can embroider your unique, personal creations in one hooping. Created by fashion designers for the PFAFF® creative performance™ sewing and embroidery machine. The built-in embroidery designs are grouped into three different categories (machine designs, mini designs and quilting designs) making it easy to find exactly what you want. Rotate – Rotate by 1º increments for precise adjustments. Multi-select – Select one or many designs for editing. Embroidery stitch editor – Adjust a stitch or a sequence after you’ve brought it in to embroidery mode. Color edit – Change thread colors of the design directly on screen. Available in 3 different sizes including upper case letters, lower case letters, numbers and symbols to personalize your projects. Sew any stitch in the embroidery hoop for perfect results and to create unique embroidery designs.